Gunnery Sergeant George A. Liset, USMC Retired, recently passed away. We salute you, sir, and thank you for your dedicated service. There are two passions that my father and I share, reading and fishing. It is the latter that brings us the closest. Fishing is sort of neutral ground. My father and I are very different people, although as I grow older, my children like to remind me of how much I am becoming like my father. Life experiences have greatly contributed to these differences. My father has experienced more than any one person ought to have. My father grew up in a little town in northern Wisconsin called Harmony. His mom died when his younger sister was born. His dad left him with “The Aunts” to seek his fortune. My father grew up on a working farm and was free labor. When he wasn’t farming he was out hunting and fishing. He wasn’t a fan of school. Although he did go to college after he retired from the service. At sixteen he joined the U.S. Marines. He was in the occupation of Japan and met General MacArthur. Upon his return he was stationed in Hingham, Ma. where he met my mom. They were married and soon after dad went to Korea for the war. He was in Korea when I was born. My father also did two tours of Viet Nam. My parents divorced in between tours. When my father returned he met a wonderful woman and they settled in North Carolina. After growing up in northern Wisconsin and spending a winter in Korea in a wet sleeping bag, he never wanted to be cold again. Some of the best times I remember with my father revolve around fishing. I loved fishing on those piers that jutted out into the ocean, especially at night. The weather was gorgeous and the pier at night seemed almost magical. The lights from the pier attracted all sorts of different fish. You would see schools of Rays swim by or get into a school of Mackerel. 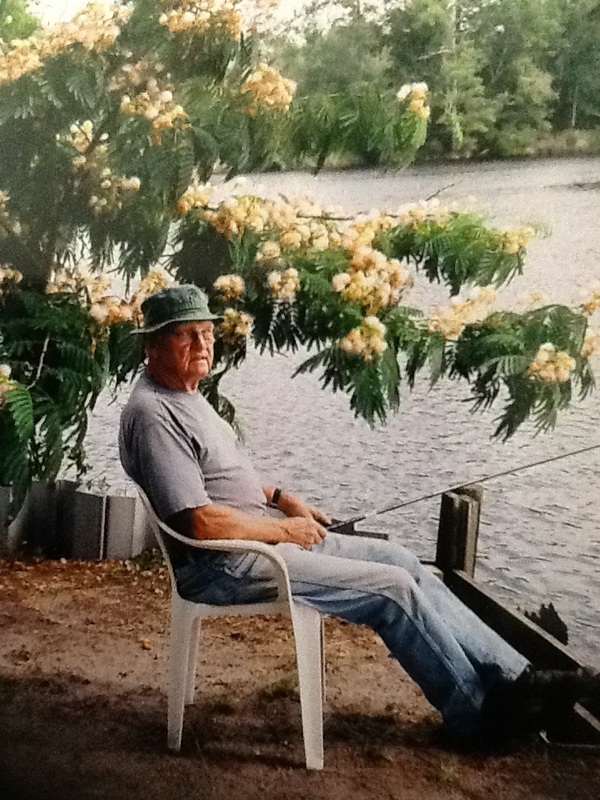 My father also bought a little place on the Upper Broad Creek that flowed into the Neuse River in New Bern. We would take his boat up and down the creek or just sit and drown worms off the dock. Fishing has always been the common ground of our conversations. That and the weather, I’ll give him a call and the first thing he will say to me is “I suppose you are going to tell me about all the big fish that you caught.” Then I will share about where I have been fishing and who with and what I caught, if any. My son just went down to visit him and they caught some Bluegill and Crappie off the dock. I am glad that my son has gotten to know my dad and been able to fish with him. It will be something he will always remember and tell his children about. It also has given him a little insight into who I am. Growing up in Massachusetts, distance has always been a problem in our relationship. There were times I would have loved to have driven an hour to go fishing with him, or have had him drive over for the day. 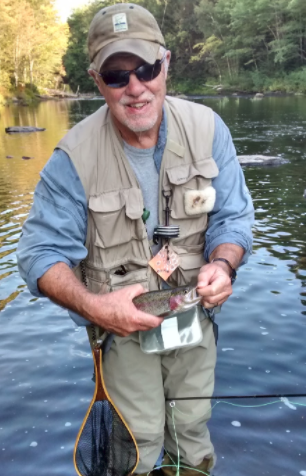 I would love to go fly fishing with him in Cherokee, N.C., out in the Smoky Mountains, but my dad’s mobility is an issue now. So now, when my son calls up and asks to go fishing I can’t say yes fast enough. We have fished together at least once a week this last month. Every once in awhile I catch him looking over at me with a big grin and I know exactly what he is thinking, that I look just like my dad, and that’s not a bad thing.